Black enamel branch bid necklace by Kenneth Jay Lane. 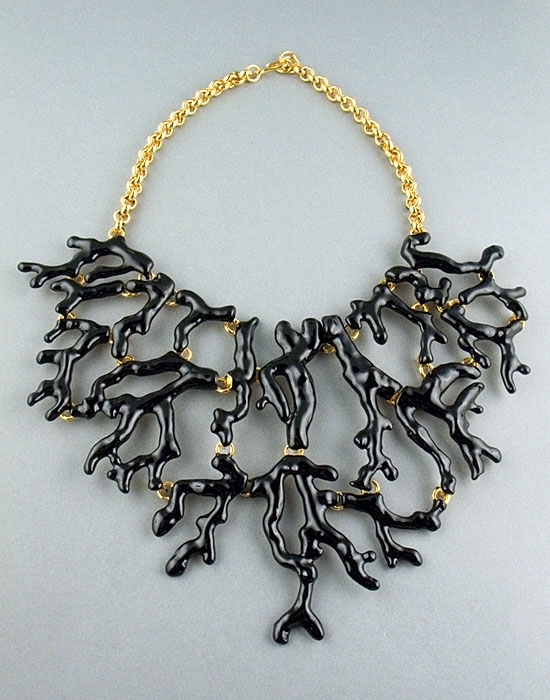 A statement piece of designer jewellery, this striking necklace features a unique organic design of black enamel branches that will add instant glamour to any outfit. Necklace measures 41cm /16" and drops 11.5cm/4.5".